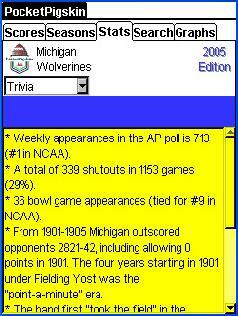 The Trivia selection of the Stats Tab notes team trivia of interest to real fans. 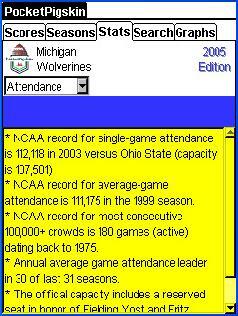 The team-specific selection of the Stats Tab contains information that is unique to your school such as attendance records in the Big House, etc. 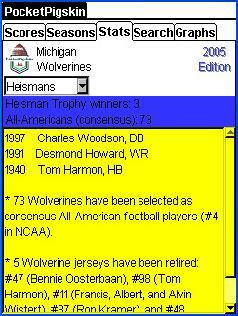 The Heismans selection of the Stats Tab lists the team's Heisman Trophy winners, and notes the All-American selections.